I know this is five days late but I was away on vacation and couldn't get this post up any sooner. 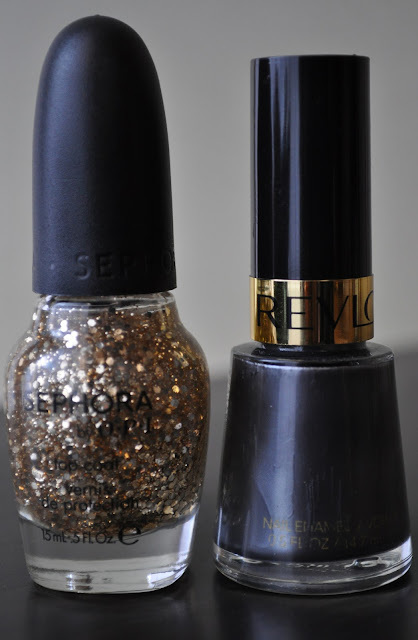 Here is the polish combo I wore to reign in the New Year. Revlon's Steel-Her Heart is a gunmetal grey with bluish undertones. 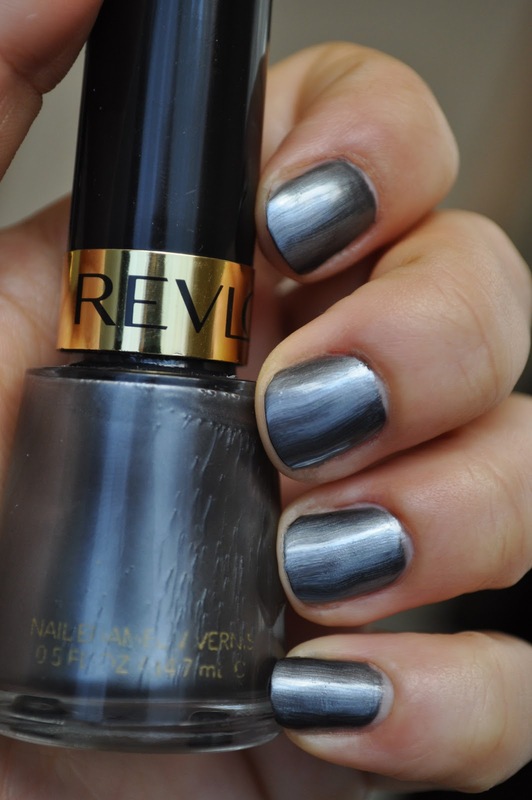 Steel-Her Heart is another edgy alternative to black nail polish. Sephora by Opi's Only Gold for Me is a clear polish with both micro and large chunky gold glitter. I hope everyone had a great New Year. Right! 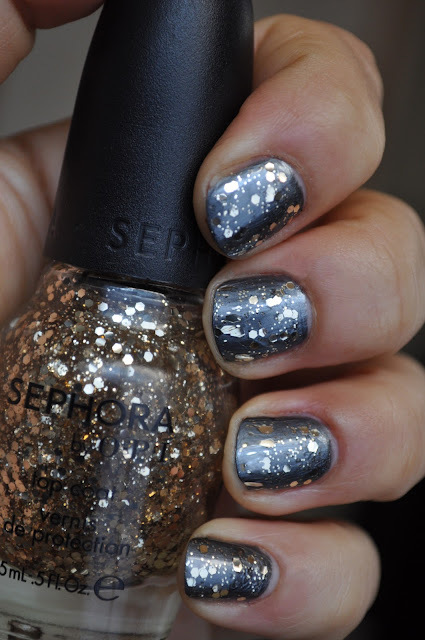 I love it :) Happy New Year Ari!!! !